"First Orthodoxy! First God's Holy Church!" affirmation - a recognition if you will - on our part, of something outside our worldly sphere that already in fact exists. outcast in the house of God than to dwell in the tents of sinners." by some fellow hierarchs, who were obviously not of like mind with them. This was evident to me from the very outset. like to hear what it was like to live with St Philaret. unhesitatingly gave away - whether it were money or even rare artifacts. compositions, of which many remain extant. Those compositions were usually sung by the cathedral choir on his nameday. he wished to show by his own example, with what conviction and courage one ought to defend and maintain Orthodoxy. criticism of many, recalling the words of our Saviour "If they hated Me, they will also hate you." His courage never waned. agents of the FBI pleaded that the Metropolitan not take part in the scheduled procession on Holy and Great Friday Matins. unflinching courage - which history has recorded he had done consistently before and after that particular incident. every engine was set in motion, they stood firmer than a rock and dispersed it all." sophisticated listening device - able to pick up discussions in the room and to broadcast them within a twelve mile radius. luxurious white ryassa for Vladyka (in Russia the married clergy and sometimes hierarchs, would wear a colored ryassa). visibly embarrassed, he tossed it off and never again wore it out of monastic modesty. rare occasions) coming to the kleros and taking the service book to change an incorrect word in his own hand. finished - of wine - on great and festal occasions. the floor and indeed it was dragging like a tail behind me. I am sure that some of you would be interested in knowing that Vladyka Philaret was quite an excellent chess player. Bishop Gregory's sister by blood) would on occasion play chess, both of them being excellent players. set before us. It was simple but awe-inspiring. resumed the service as if nothing of any consequence had happened. But remember that he was already aged and infirm. 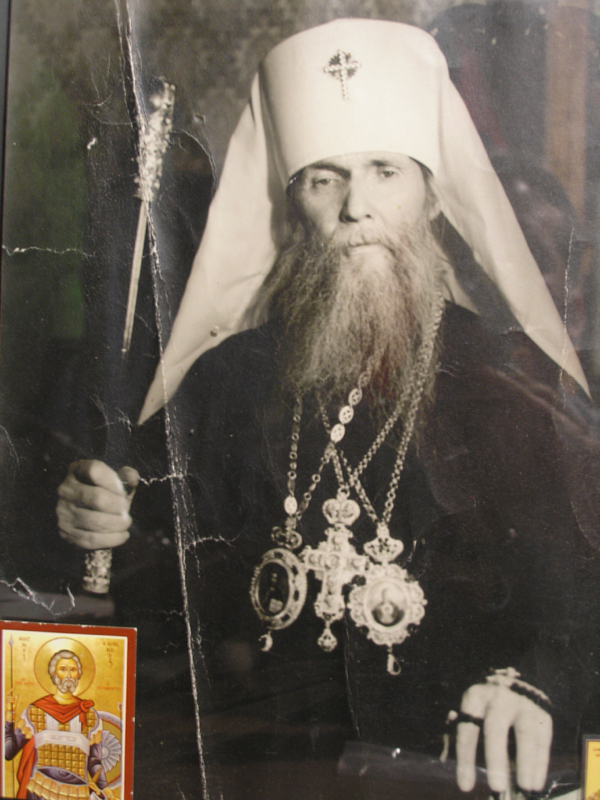 Such was the strength of St. Philaret's inner peace and prayer. extent Vladyka Philaret was esteemed. humbled hierodeacon and asked me to take this lovely bouquet of prayerful love and respect back to Metropolitan Philaret. This account was read by Bishop Gregory at a Synod meeting and was included in its minutes. the time for the canons." perspective demonstrates for us the grace-filled influence that Metropolitan Philaret had on some of his fellow Hierarchs. to forget that at the Council of Florence St. Mark of Ephesus stood basically alone. associates. I remember that it took some time for Metropolitan to convince Fr. Panteleimon to become an Archimandrite. who had already given St. Philaret grief about his other episcopal candidates. Of course, St. Philaret was grieved by Fr. perspective to the uniqueness of the man. who has been consciously blind to the impact that Vladyka St. Philaret has had is indeed a person to be pitied. and lovingly intercedes on our behalf. Christ is Risen!